We don't need oil to make a crystal-clear deli container. 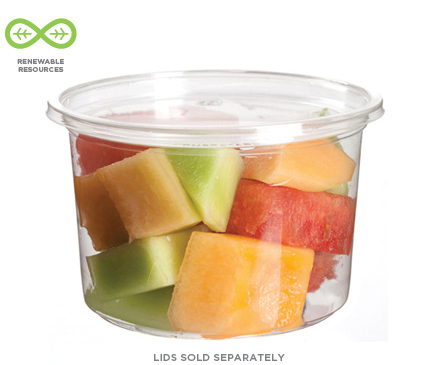 These renewable and compostable Round Deli Containers and Lids are made from Ingeo™, a plant-based PLA plastic that has great end of life benefits and a nice environmental footprint. These cold food containers are fully compostable and about as far away from unsustainable oil as you can get.